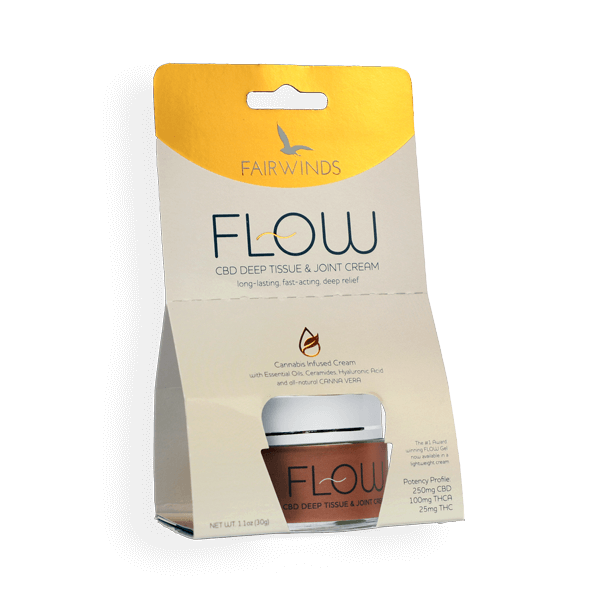 Flow is a complex formula consisting of 7 primary components; including an optimized blend of cannabis oil, essential oils and cannabis terpenes, herbal extracts, ceramides, hyaluronic acid and Fairwinds’ exclusive Canna Vera base. This 7-point system ensures that everything a premium topical should do, Flow does better. Applies and absorbs quickly with a refreshing, non-overpowering, aroma, supports skin structure and moisture with fortified ceramides and hyaluronic acid (naturally occurring in skin), delivers the active ingredients where you need them, and provides the deep and long lasting relief that you seek. Not all topicals are created equally — Feel the Flow difference. A long time ago, there was confusion surrounding the identity of the aloe plant. Many people sold a misidentified but related species of aloe that did not provide the same benefits. Eventually, traders began to refer to the correct species as Aloe Vera, otherwise known as “True Aloe”. Canna Vera extract is similar in that it carries the true identity and full effects of the cannabis plant. Additionally, both Aloe Vera and Canna Vera are composed of unique polysaccharides that deliver powerful effects in the body. Polysaccharides are used by the body as immune signaling molecules which can have dramatic effects in the skin and deep tissues. Canna Vera is a creamy, Shea butter-like substance containing the wax and lipid-like constituents isolated from the cannabis oil, combined with our polysaccharide-rich Cannabis Juice Extract acquired from the roots, flower, stem and leaves. The added benefits from Canna Vera are significant, delivering a noticeable sensation and the true character of Cannabis. Purified Water, Essential Oil and Terpene Blend (Bergamot, Lemon, Turmeric, Nutmeg, Clove, Wintergreen, Cinnamon, Peppermint, Linalool, Eucalyptol, Borneol, Menthol, Caryophyllene), White Willow Bark, CannVera, Avocado Oil, Docosanol, Ceramides 1,3, 6-11, Hyaluronic Acid, Lactylate, Comfrey. 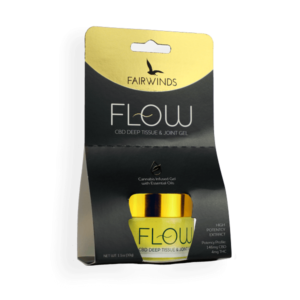 – FLOW Cream is designed for external use only. – For best results, wash hands and clean the skin surrounding the targeted area prior to application. – For initial application, apply a small amount of FLOW Cream to the targeted area and massage onto the skin. Full absorption can be expected from 2-5 minutes. – After the initial application, the full effects of FLOW Cream can be expected between 5-10 minutes. – FLOW Cream can be reapplied in generous amounts or as seen necessary depending on the circumstances. [Note] To preserve the full cannabinoid & terpene profile, store between 39°F- 77°F.